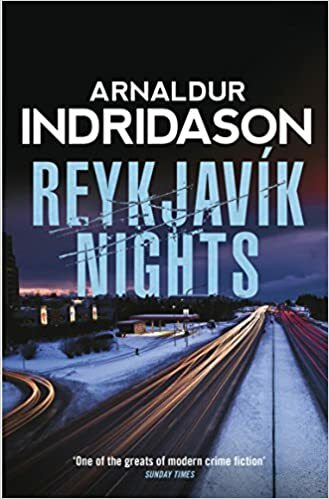 While this is the latest book in the Erlendur series by Icelandic author Arnaldur Indriðason, Reykjavik Nights [or Reykjavíkurnætur] is also the earliest in the chronology of the series since it relates to the first years of Erlendur in the Icelandic police and to murders that took place in 1974 in Reykjavik. The book may appeal mostly to those who have already read (the) other books in the series, as it explains very little about Erlendur’s past and the reasons he is so fascinated by missing persons. It is however a great read, despite or thanks to very little action when touring the nights of Reykjavik and arresting drunks weekend after weekend. (There is a slight interlude when Erlendur takes part in policing the 1100 anniversary celebrations of the settlement of Iceland at Þingvellir where the Alþing, the original Icelandic parliament stood.) Actually, I find the detective part less than convincing but it hardly matters since the development of the character of Erlendur is very well conducted. With a constant focus throughout the series on themes like domestic violence and drunkenness. A very pleasant read. I found the whole exercise interesting, creating a sort of genealogy in the Erlendur series, with Marion’s mentor playing a side role and his early training in Glasgow (of all places! ), with the re-creation of a 1972 Iceland and the chess match between Fisher and Spassky at the height of the Cold War. Plus a reminder about the tuberculosis epidemics of the 1930’s, where The detective side of the novel is however less convincing than usual, with clues and fingerprints appearing at the most convenient times. And a fairly convoluted resolution. Still worth reading, especially on a long flight! Mýrin (“The Bog”) is the third novel in the Inspector Erlendur series written by Arnaldur Indridason. It contains the major themes of the series, from the fascination for unexplained disappearances in Iceland to Elendur’s inability to deal with his family responsibilities, to domestic violence, to exhumations. The death that starts the novel takes place in the district of Norðurmýri, “the northern marsh”, not far from the iconic Hallgrimskirkja, and not far either from DeCODE, the genetic company I visited last June and which stores genetic information about close to a million Icelanders, the Íslendingabók. And which plays an important and nefarious role in the current novel. While this episode takes place mostly between Reykjavik and Keflavik, hence does not offer any foray into Icelandic landscapes, it reflects quite vividly on the cultural pressure still present in the recent years to keep rapes and sexual violence a private matter, hidden from an indifferent or worse police force. It also shows how the police misses (in 2001) the important genetic clues for being yet unaware of the immense and frightening possibilities of handling the genetic code of an entire population. (The English and French titles refer to the unauthorised private collections of body part accumulated [in jars] by doctors after autopsies, families being unaware of the fact.) As usual, solving the case is the least important part of the story, which tells about broken lifes and survivors against all odds. 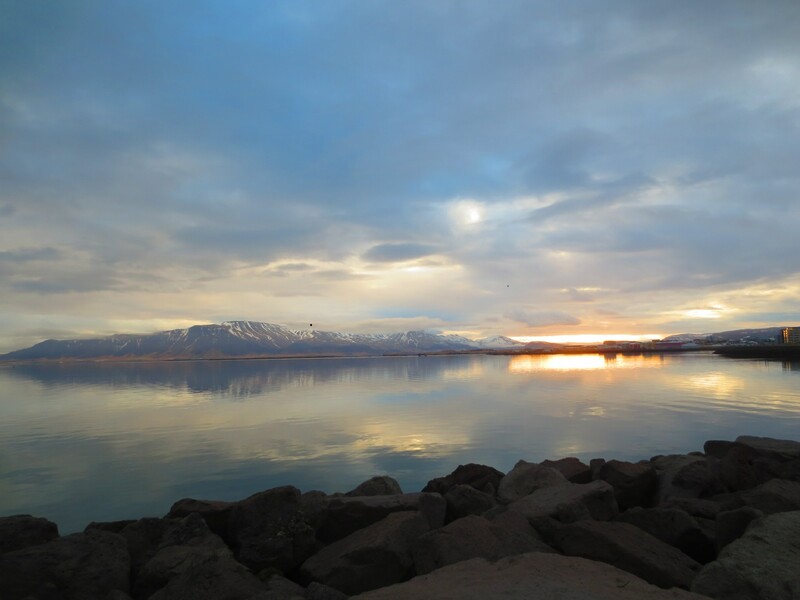 Following my recent trip to Iceland, I read two more books by Arnaldur Indriðason, Voices (Röddin, 2003) and Strange Shores (Furðustrandir, 2010). As usual, Indriðason’s books are more about the past (of characters as well as of the whole country) than about current times. Voices does not switch from this pattern, the more because it is one of the earliest Inspector Erlendur’s books. Besides the murder of an hotel employee at the fringe of homelessness, lies the almost constant questioning in Indriðason’s books of the difficult or even impossible relations between parents and children and/or between siblings, and of the long-lasting consequences of this generation gap. The murder iitself is but a pretext to investigations on that theme and the murder resolution is far from the central point of the book. The story itself is thus less compelling than others I have read, maybe because the main character spends so much time closeted in his hotel room. But it nonetheless fits well within the Erlendur series. And although it is unrelated with the story, the cover reminded me very much of the Gullfoss waterfalls. The second book, Strange Shores, is the farthest to a detective stories in the whole series. 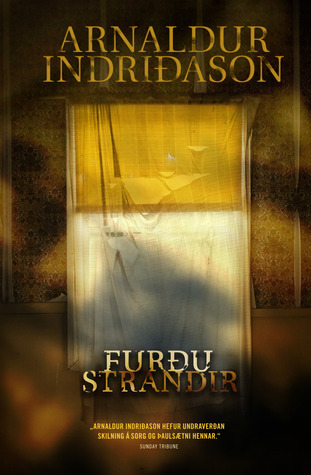 Indeed, Erlendur is back to his childhood cottage in Eastern Iceland, looking for a resolution of his childhood trauma, loosing his younger brother during a snowstorm. He also investigates another snowstorm disappearance, interrogating the few survivors and reluctant witnesses from that time. Outside any legal mandate. Sometimes very much outside! While the story is not completely plausible, both in the present and in the past, it remains a striking novel, even on its own. (Although it could read better after the earlier novels in the series.) Not only the resolution of the additional disappearance brings additional pain and no comfort to those involved, but the ending of Erlendur’s own quest is quite ambiguous. As the book reaches its final pages, I could not decide if he had reached redemption and deliverance and the potential to save his own children, or he was beyond redemption, reaching another circle of Hell. As explained by the author in an interview, this is intentional and not not the consequence of my poor understanding: ” Readers of Strange Shores are not quite certain what to make of the ending regarding Erlendur, and I’m quite happy to leave them in the dark!”. If the main character of this series focussing more on missing persons than on detective work, what’s next? !